The eat ups - パーティの食卓 Stop ではなくShift - Shift, instead of Stop. Stop ではなくShift - Shift, instead of Stop. Seems like the news reported outside of Japan sensationally talked about the scary exposer of radiation, and sorry for Japan losing the half east side of our country due to the pollution, then now shifting their focus to Libya where mass slaughter has been prevailed by crazy old dictator. I believe we cannot expect foreign travelers for next decade. On the other hands, when I did skype with my parents live in Tokyo, they said, although they have to still endure the rolling power outage "When I go to walk in the park, many children play there too. Our life has almost come back to normal." TVs also already go back to their normal programs, and those nuclear plants update is not "Live" broadcast anymore but reported in the normal news program hour. I'm very very happy to hear and see the positive updates, like the electric power has been connected to those nuc plants and massive amount of water can be automatically spray on plants with special water truck. However, there is one thing we can never "go back" to before. 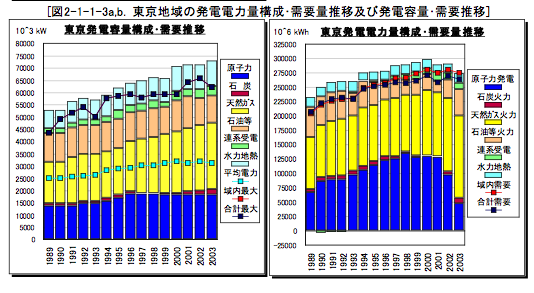 That is, the way we consume the electricity in Tokyo, which also means, we have to change our lifestyle drastically. We didn't know that we can use powers and resources as much as we want, because we sacrifice Fukushima and/or other areas where suffers underpopulation and financial difficulties, thus agreed to accept nuclear plants building expecting more jobs opportunities and more happy life. We also sacrifice not only people who lives close to nuclear plants, but also our posterity. "The nuclear power doesn't produce any CO2 thus it's clean." To object above, I studied a bit and want to share this all. To build one nuclear plant needs 5 years. And it could run and generate the power about 40~ maximum 50 years. And then after that, once we decide to abandon the plant, it will require another 50 years to completely close it. During this 50 years, we have to keep cooling down and continuously take care of it. Surprisingly, there is zero plant we Japan have abandoned completely. The very first "abandon" plant is in Toukai, and it is still on going after 10 years. Some of you may have heard about "Rokkasho" village in Aomori prefecture, it is the disposal facility which accept low level radioactive waste. There is no place in Japan which declare "We accept middle or high level radioactive waste." We built 55 plants across our country and try to build more, but we don't know how to close those without generating any scary waste. We use those power and enjoy our life, and generating those waste and leaving those debt to our children and posterity. Who agrees to do this? We'll all say "I didn't know." and regret the situation, but now you know how scary and irresponsible the nuclear electric power generation is, we have to stop it. We should not say "Ah, because there's no other option which can substitute nuclear..." anymore. If there's none, we should reduce the amount of usage. That's the way. I read this interview and it gave me some courage. "Shift, instead of Stop". We have to recover from this catastrophic damage, but we cannot "go back" to before March 13th 2011.